The benefits of a large LinkedIn following are obvious. It’s simply easier to conquer marketing objectives when each piece of content you publish reaches a large, relevant audience. Fortunately, there are multiple ways to build an audience on LinkedIn. Marketers should aim to add followers through every stream, building their LinkedIn presence steadily over time. Think of it as a long-term investment that pays dividends in the form of better marketing results. Your Company Page is the centerpiece of your LinkedIn presence. Start by making sure your Company Page is complete. Add visual appeal, descriptions, highlight key offerings, and consistently share content. Once your Company Page is up and running, promote it by proactively driving traffic to it from other sources. Links to your LinkedIn Company Page should be featured on your company website, blog posts, emails, newsletters, via a website “Follow” button, and even your other social accounts. The following advice will seem overly simple but it bears mentioning anyway: The best way to get people to follow your Company Page is to ask. Create calls-to-action that encourage visitors to follow your Company Page. Explain the value you'll add. Then cross-promote on your other social channels. You’ll also want your employees to help spread the word by listing themselves as employees of your company on LinkedIn, which automatically adds them as a follower. For more tips on creating a Company Page your entire company is proud to promote, check out The LinkedIn Company Pages Playbook. A Showcase Page is an extension of your Company Page that’s focused on a particular brand, business unit, or initiative. Why create a Showcase Page? It’s about relevance. 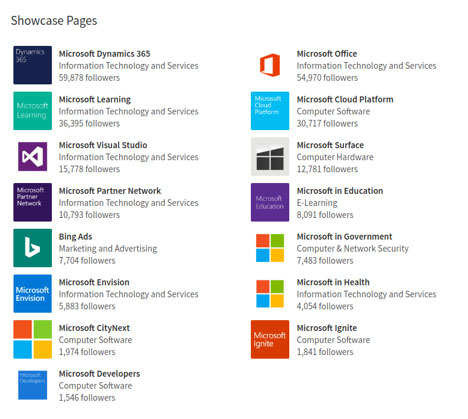 Showcase Pages allow LinkedIn members to follow only the particular aspect(s) of a company that interest them. From the marketer’s standpoint, Showcase Pages enable segmentation – they allow marketers to share specific content with a targeted audience without inundating other followers with irrelevant content. Showcase Pages are a great tool for giving your audience what they want while keeping them unified and connected to your larger LinkedIn footprint. Employees are often a brand’s best advocates on LinkedIn. In addition to serving as the core base of followers for your Company Page, employees can also be called upon to share and engage with content, extending your content’s effective reach. When employees engage with your Company and Showcase Page content, that engagement extends to the feeds of your employees’ collective professional networks. As your employees’ networks grow, so too does your reach, and over time, your company’s follower count. Encourage employees to actively grow their professional networks, taking advantage of relevant connection opportunities with peers, partners, sales prospects, and customers when they arise. 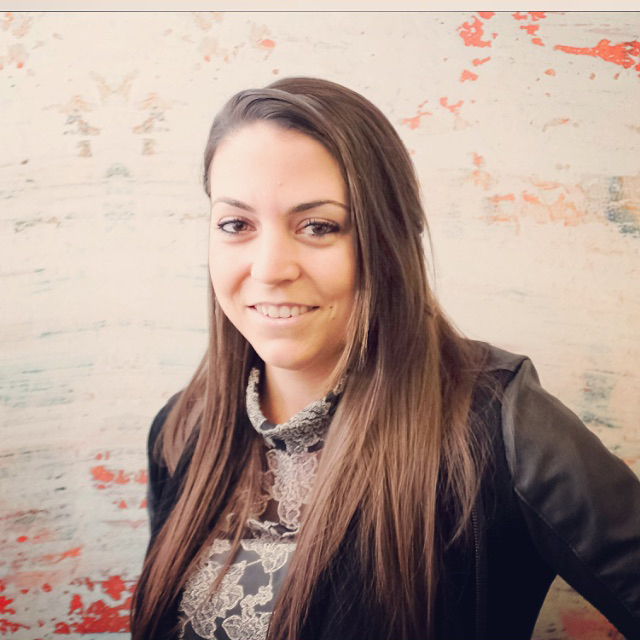 Employee advocacy is especially important in the early stages of your Company Page, when your visibility is dependent upon a select group of enthusiasts. 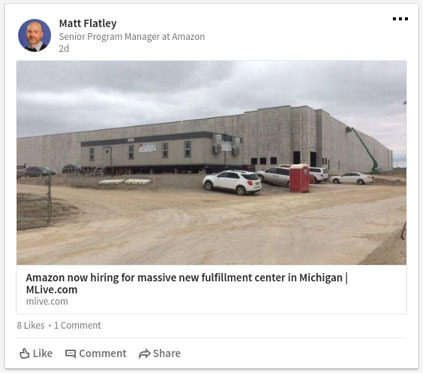 But as the above screenshot proves, even corporate giants like Amazon still enjoy the benefits of employee sharing on LinkedIn. 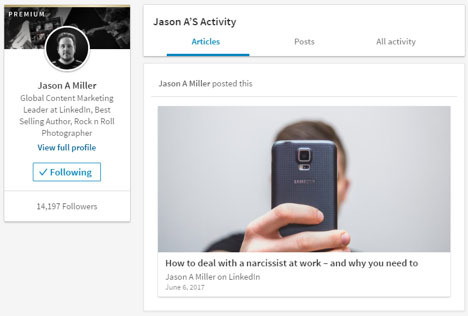 Any LinkedIn member can now publish long-form content on LinkedIn, and it’s worth encouraging employees to try their hand at content creation. This publishing can relate to industry trends, company news, or insights specific to their specialty, and a well-placed link within the content can drive traffic to your Company Page. Your can also repurpose content published elsewhere, so an employee who creates a blog post for the website could easily add it to LinkedIn without hurting the original post’s SEO rank. As your team members publish more content, they are likely to gain more followers, making them even more powerful in terms of content amplification potential. 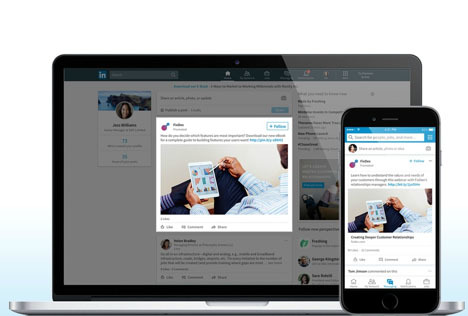 Several companies have used LinkedIn advertising to quickly grow their community on LinkedIn. The easiest way to do this is by promoting a post which data shows will drive strong engagement from your target audience. Sponsored Content posts also feature a “Follow” button users can click, since the Sponsored Content will often be displayed to users who don’t currently follow your Company Page. 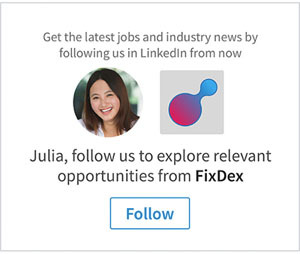 Other ad options, including Text Ads, Programmatic Display Ads, and Dynamic Ads (The example below is a Dynamic “Follow” Ad) are available to give your company flexibility in how you promote yourself to the LinkedIn community. With so many options for extending reach and driving engagement, any company can grow its LinkedIn audience from a small following to a bustling, expansive community. Uncover more effective tactics for growing your brand on LinkedIn with the Company Pages Playbook.